The mushroom season has started very well this year. Mushrooms are popping up everywhere and the high season is still ahead! 🙂 Last weekend I had to end my forest walk a bit early because I simply had no more place to put all the mushrooms that I found. 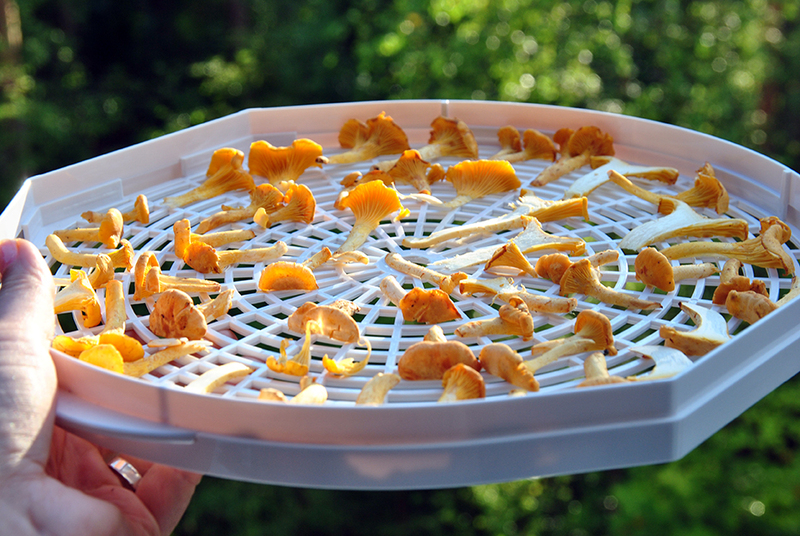 My mom and I collected a birch basket full of chanterelles. We also found one large orange birch bolete, koivunpunikkitatti (cover picture). It quickly became obvious that despite the good attempts to cook a lot of mushroom dishes it would be impossible to consume them all in time. That’s where my dryer came in handy! Best mushrooms for drying are of course ones that could be eaten raw. Don’t choose mushrooms that require special preparations before use, like soaking or parboiling to remove poison, e.g. milk-caps are not suitable for drying. Another thing to consider is that some mushrooms change colour when exposed to air. The beautiful bolete above will turn dark as soon as it is cut so it wouldn’t look too pretty when dried. The color change doesn’t affect the flavor, so this is a purely aesthetic consideration. 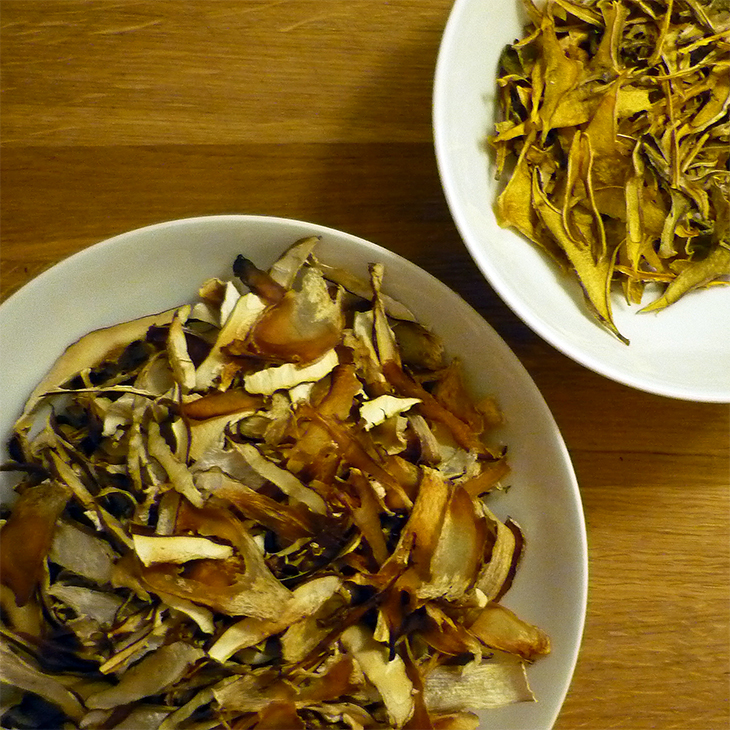 There are also some mushrooms that change their flavor when dried. So unless you’re drying some of the mushrooms that I’m listing below, it might be a good idea to check online if you can find information about drying that specific mushroom. Pick a good amount of mushrooms of your choice. Make sure that the place that you collected them from is clean (not close to a big road or so). Use a knife for cutting them to ensure a good growth next year. My favourites are chanterelles, porchinos, boletes, black trumpet mushrooms, yellowfeet, hedgehog mushroom and sheep polypore (Albatrellus ovinus). My dream is to find matsutake, I know that it grows here but I haven’t found it yet. 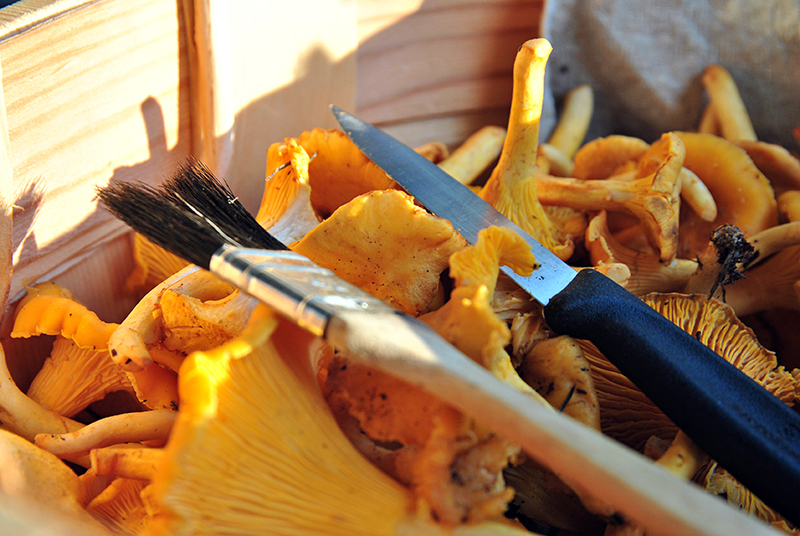 The Arktiset aromit website is good for learning to recognize the most common delicious mushrooms in Finland. 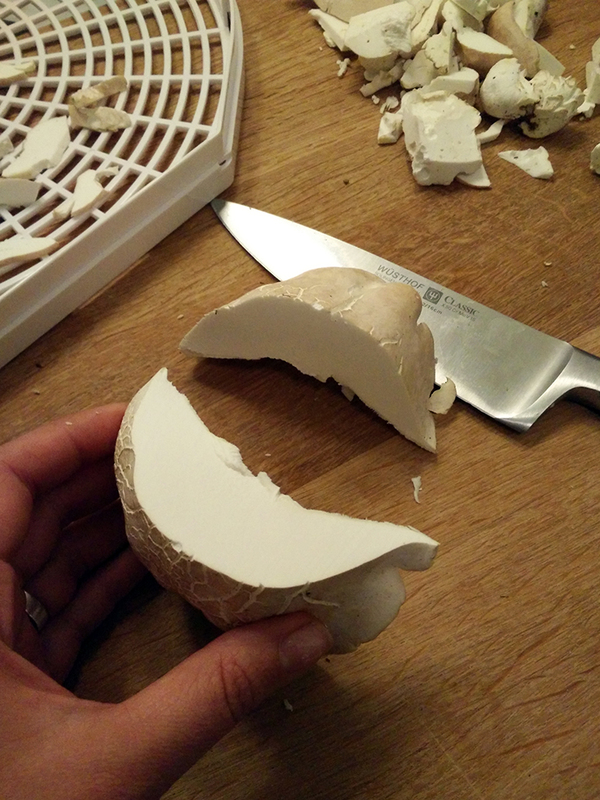 Clean the mushrooms well using a knife (without teeth) and a brush. Do not rinse or wash them. Cut the mushrooms in pieces. Normally cutting them in max. 3mm thick slices works well. If the mushroom is very thin (like the black trumpet) cutting it in half will suffice. Discard any pieces that have wormholes or don’t look perfect otherwise. on a string. Using a needle, pull a string of yarn through the mushroom pieces. Hang them in a warm and well ventilated place. Store the mushrooms in air-tight containers. I keep mine in glass jars. Dry mushrooms can be crumbled in sauces for stronger flavour or soaked in liquid (normally milk or water) before using them in sauces or soups like fresh ones. 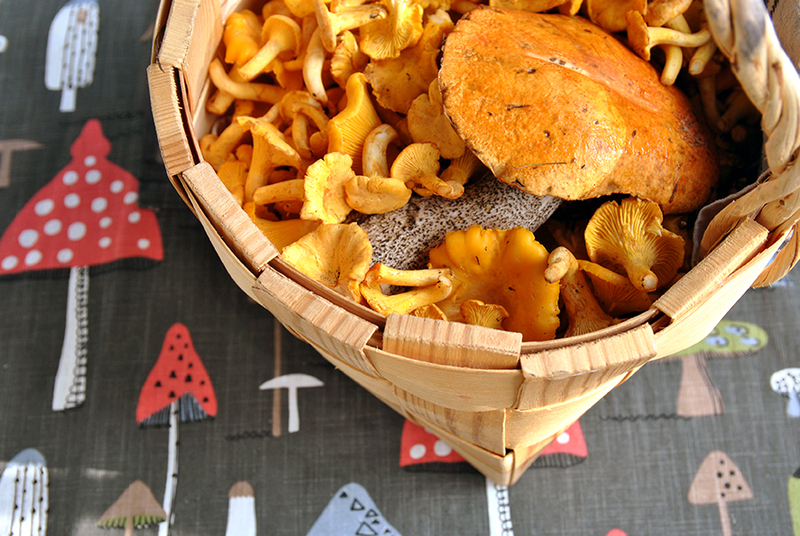 I prefer crumbling chanterelles because they easily become a little chewy when dry.